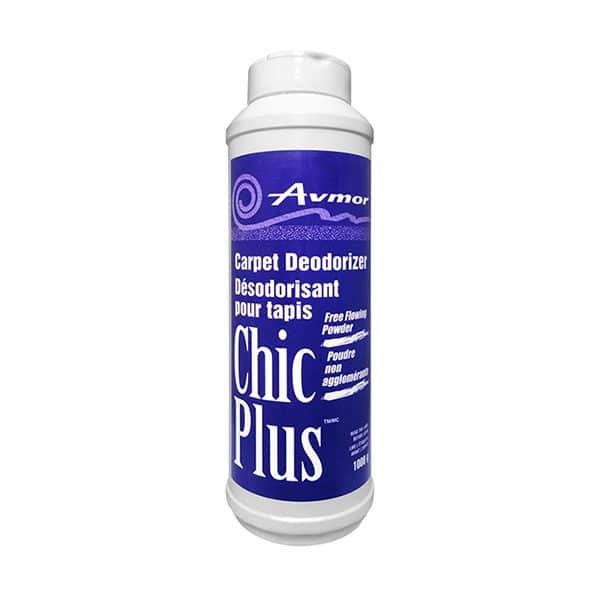 CHIC PLUS is a blend of dustless free flowing powder and has an exclusive fragrance designed to deodorize carpets and surrounding areas. Use CHIC PLUS immediately before vacuuming carpets to overcome unwanted odours from pets, smoking, cooking, mustiness and other sources. May also be used in ashtrays, waste receptacles and vehicles to overcome malodours. Sprinkle lightly over carpeted area. Use sparingly; it is not necessary to completely cover the carpet. Allow contact time of 5-10 minutes, then vacuum. Avoid use on wet spots.